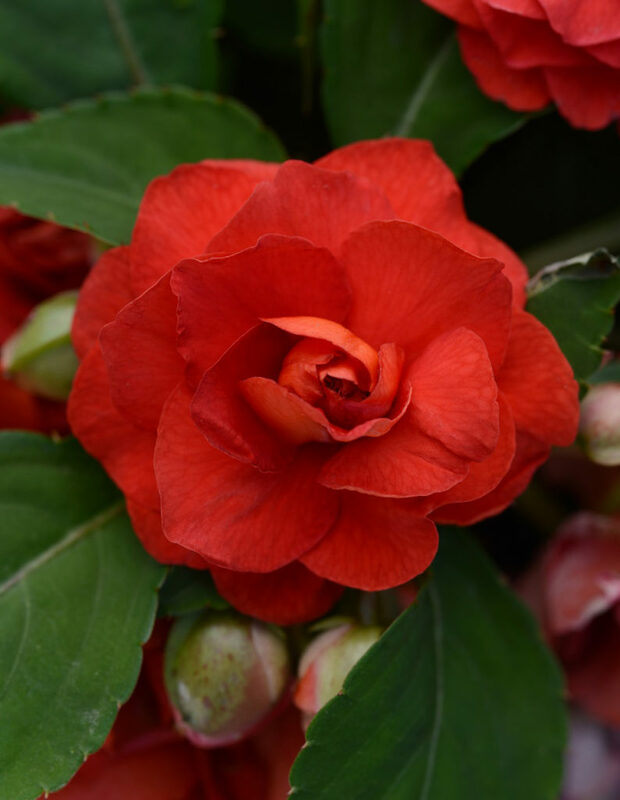 With their exceptionally beautiful flowers and lush leaves, impatiens add colour and life to shady spots for months on end. 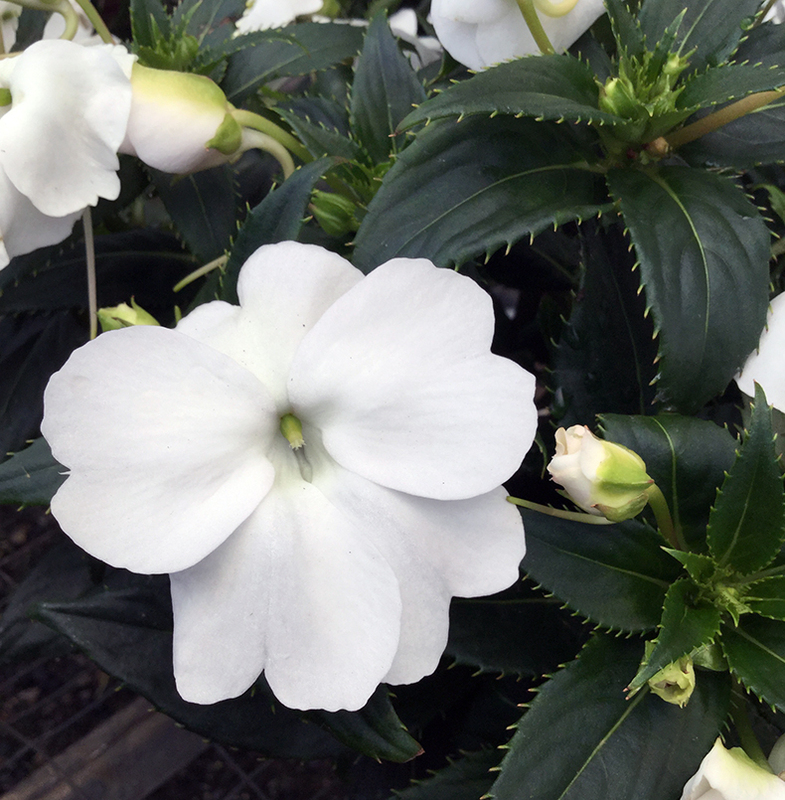 A few years ago, an outbreak of downy mildew* infected many impatiens leaving a lot of gardeners disappointed in this lovely plant. As a result, breeders have been hard at work developing new disease-resistant varieties that continue to thrill with their ability to liven up shady areas. 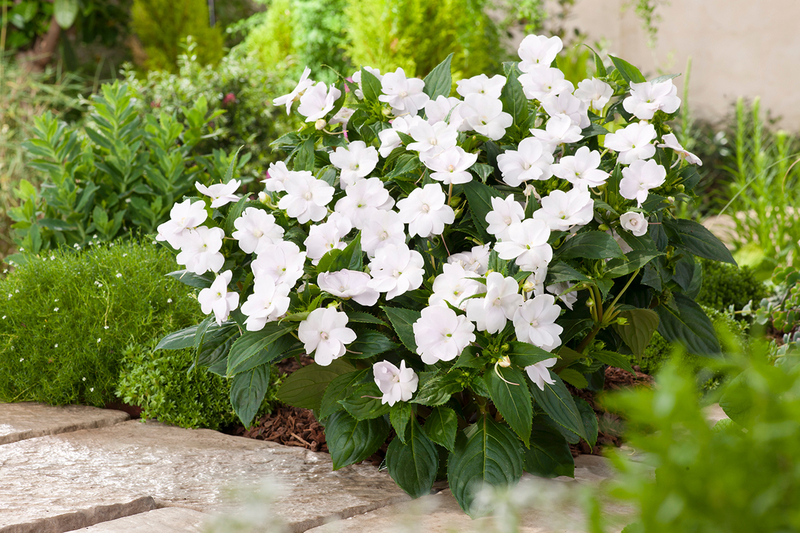 Annuals, these impatiens prefer light or partial shade, but do well in positions that receive morning sun and afternoon shade. 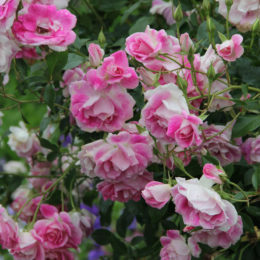 Plant them en masse or among other plants in shady beds under trees or in an area shaded by a wall. 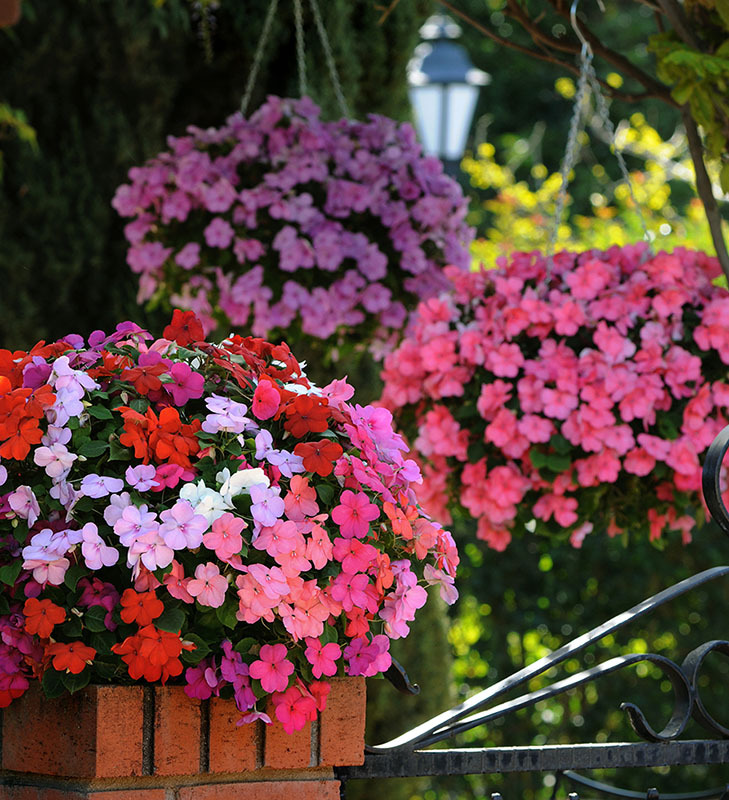 They’re ideal in window boxes, hanging baskets and containers. 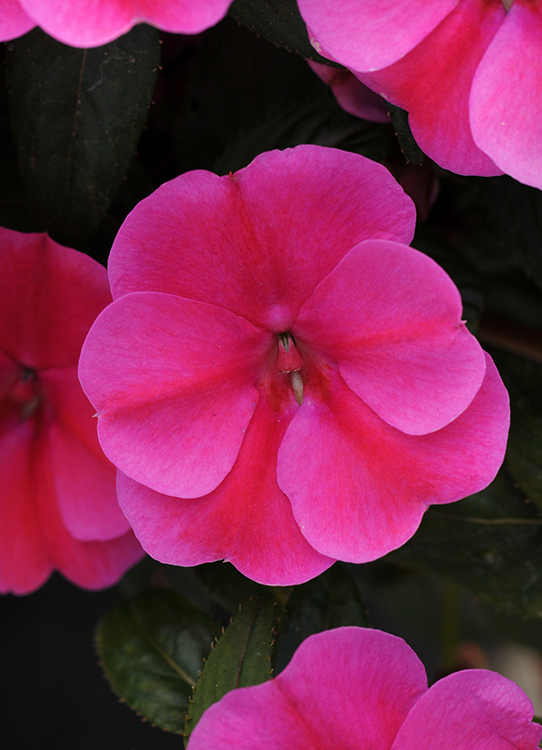 Fortunately plant breeders like Ball Straathof have developed more disease-resistant varieties and impatiens has regained their pride of place in the summer garden. 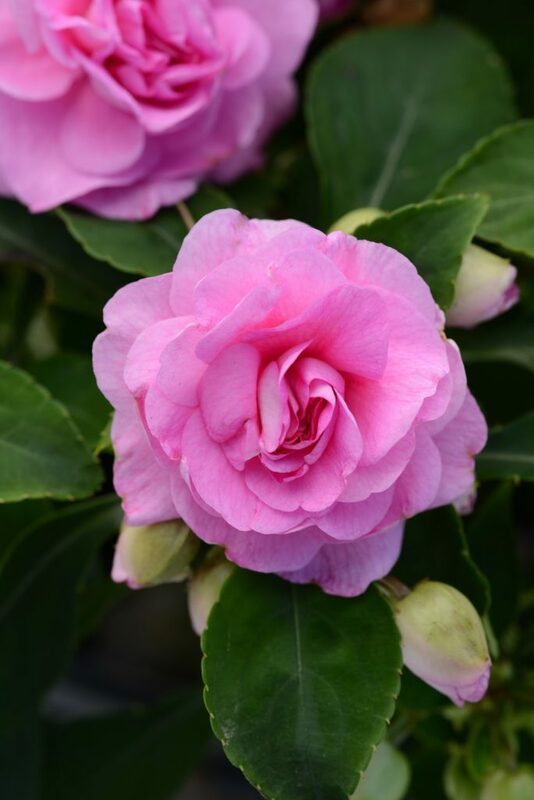 The Super Elfin, range comes in a wide variety of colours including blue pearl, salmon, violet and white and grows 20–25cm high with a spread of 30–35cm. 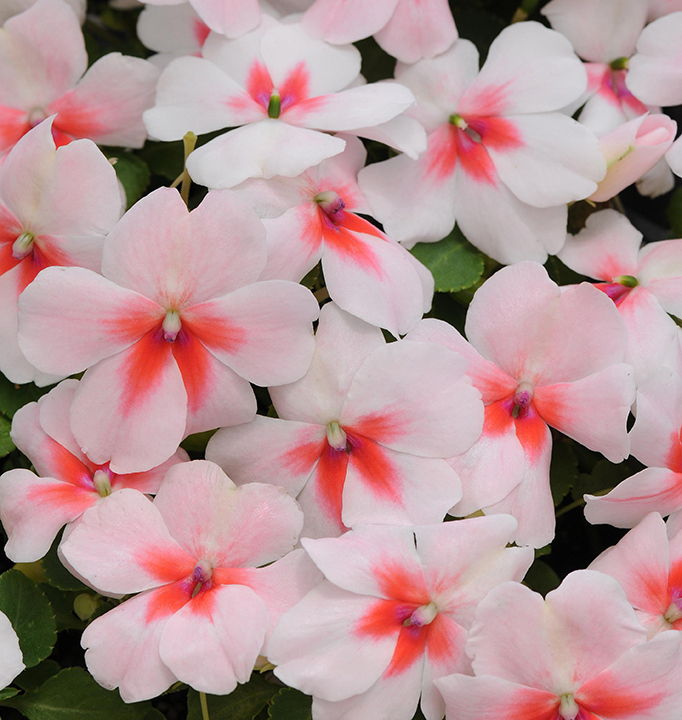 The SunPatiens and Bounce ranges from Ball Straathoff are hybrids, referred to as interspecific impatiens. 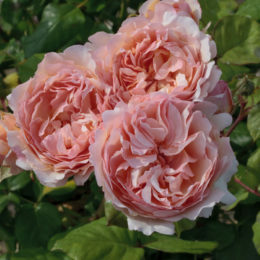 Bounce ‘Pink Flame’ grows 35–50cm high and wide. Create the right micro-environment; not too shady, not too wet and don’t plant them too close together. Water in the morning or early afternoon as wet leaves at night encourage fungal disease. It is better to water deeply and less frequently. 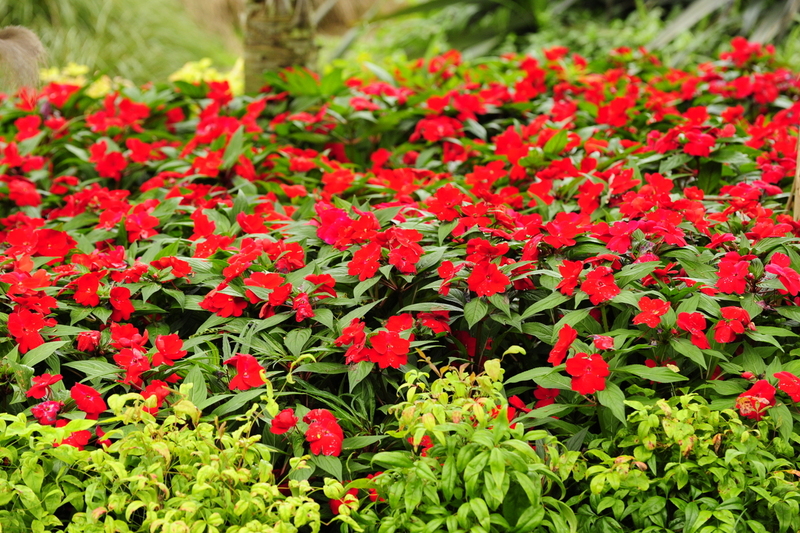 Impatiens in sunnier positions need more frequent watering. 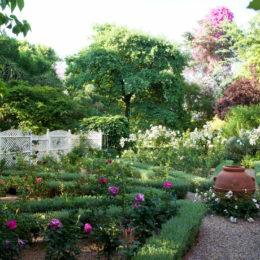 Too much water and fertiliser can produce leafy plants at the expense of flowers. Reduce feeding if plants are getting too leafy. Perennials, these fast growing hybrids need at least four hours sunlight a day. 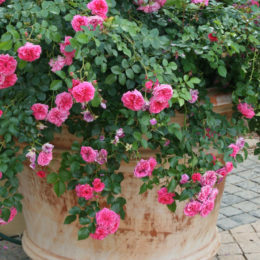 They’re downy mildew resistant and grow bigger and have larger flowers than other varieties so fewer plants are needed to fill the same space. Some varieties have bronze coloured leaves. They like soil that’s fertile, alkaline and well-draining. They dislike acid soil and shouldn’t be mulched with bark chips or pine needles. Feed them at least once a month with a liquid fertiliser. Don’t water them from overhead as they’ll remain too wet. Don’t let the soil dry out as they’ll drop their flowers and buds. 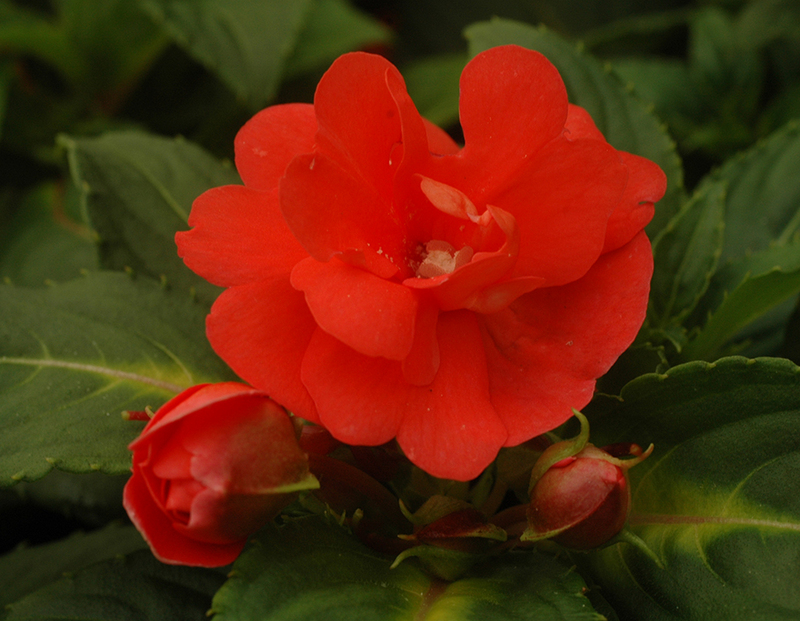 SunPatiens come in a variety of colours and grow in full sun as well as partial shade. As its name suggests, it bounces back quickly from wilting in dry conditions with no burnt leaves or flower drop. The Fiesta Bonita range thrives in semi-shady to shady areas. 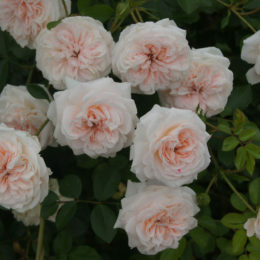 Its gorgeous double flowers resemble mini-roses. Treat them as a short season spring flower. They deliver loads of colour until January or until the rains start in earnest. Striking as front-of-border plants pair Fiesta Bonita with ferns, dragon wing or angel wing begonias, coleus, azaleas and fuchsias, and use as fillers around tropical plants like philodendron, delicious monster and alocasia. Downy mildew is caused by a fungal-like organism and usually appears after long rainy spells with hot humid days followed by cool nights and is less likely in dry conditions. It causes the leaves to become discoloured, limp and curl downward. White mouldy spots (spores) form on the undersides of the leaves, which cause the plants to become stunted and eventually die.